getAttribute(String name) method is used for returning attribute with specified name. getAttributeNames() method is used for returning all attribute names within the application. getlnitparameter(string name) method is used for returning intialiased parameter value. If parameter is not there then null value is returned. getlnitparameterNames() method is used for returning intialiased parameter name. getRealPath(String path) method is used for translating the resource URL mentioned as parameter in the method into an input stream to read. getServerinfo()method is used for returning name and version of the JRun servlet engine. getMinorVersion()method is used for returning the minor version of the Servlet API for the JSP Container. getMajorVersion()method is used for returning the major version of the Servlet API for the JSP Container. 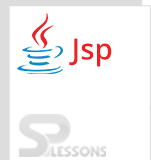 log(Message)()method is used for writing text string to the JSP Container. 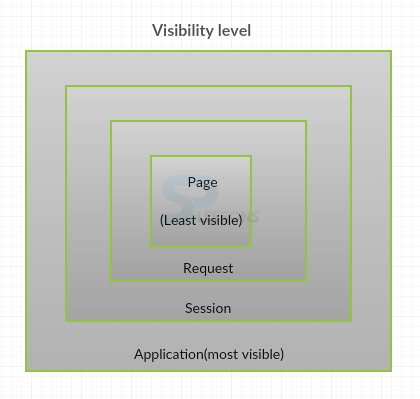 The visibility of application is very high when compared to a page. This is the code to increase the count on the browser when refresh the page. Output will be as follows. While refreshing the page number hits will be increased as follows. The application object is an occurrence of a class that executes the javax.servlet.ServletContext interface. Application Object is uitilized to share the data with all application pages.